On a high plain on Monte Acuto, one of the most “Romanised” areas in Sardinia, a Roman-Byzantine castrum (castle) and medieval ruins dominate the plain below, home to the Coghinas river and lake. This is the setting around Nostra Signora di Castro, just five kilometres from Oschiri. Going up the hill of the small Romanesque church you will relive the history of the XI and XII century, when it was built between the banks of the lake, the castrum of Luguido, the village and the Castra castle, which lend their name to the temple. 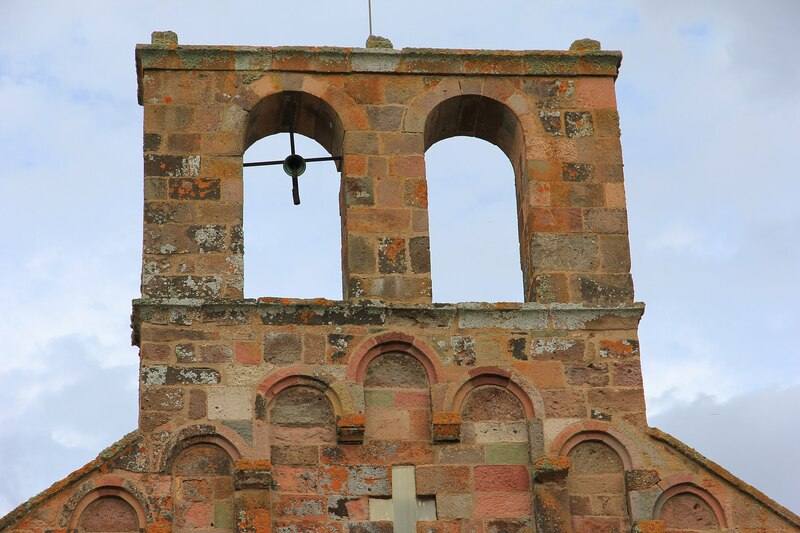 It was once the cathedral of the Castro diocese, which was done away with four centuries later, in 1508. No one knows the exact date of construction. 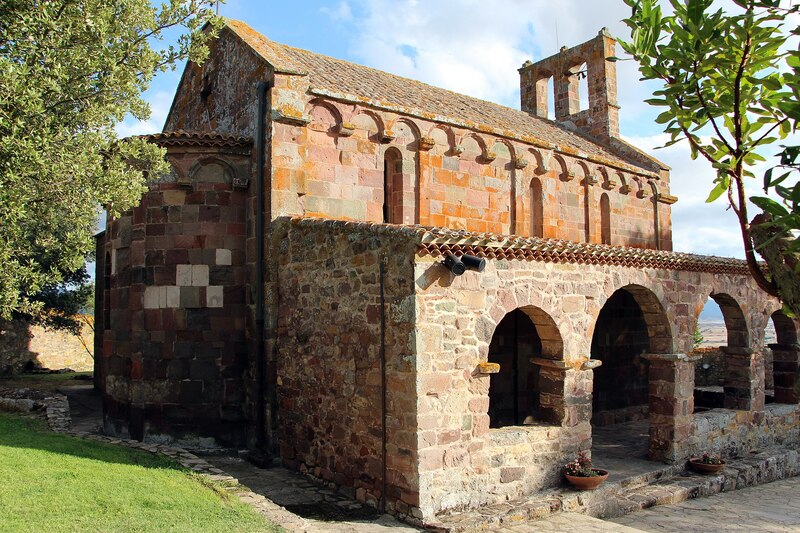 The Liber judicum turritanorum claims it was founded by Mariano I di Torres in the XI century, at the same time as the Nostra Signora del Regno in Ardara, whose Romanesque-Lombardian style bears close similarities. Others think it’s consecration was linked to the cathedral of sant’Antioco di Bisarcio in 1164 or 1174. 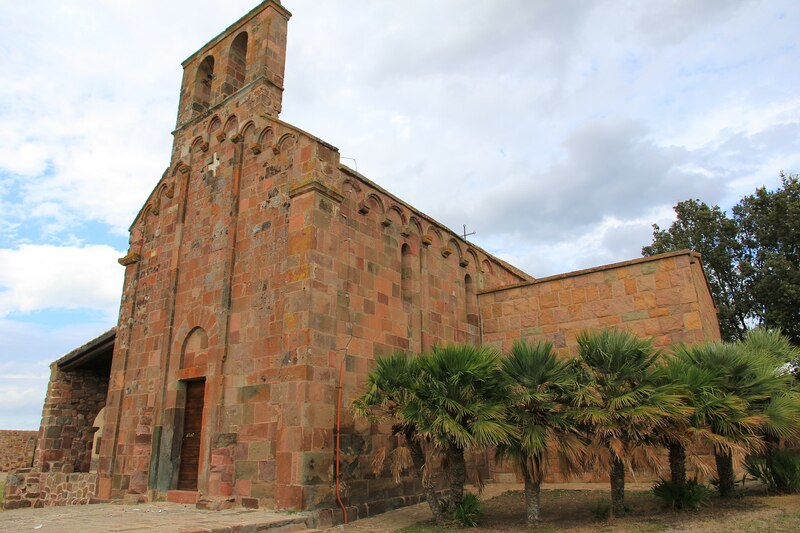 The area around it has lodging for pilgrims, cumbessias, and a two storey building now used for exhibitions about the history of the sanctuary and the archaeological site. The church attracts many pilgrims, the courtyard comes to life on the Sunday after Easter for the Madonna di Castro celebrations. Once up the five stairs you will enjoy the light reflected by the blocks of trachyte used to make the building. They are graced with gradations of hues of intense pink to dark purple. Two pilasters face the door and divide the façade into three mirrors, each featuring three arches set on decorated bases. Inside is a single 11 metre long and 5 metre wide nave. 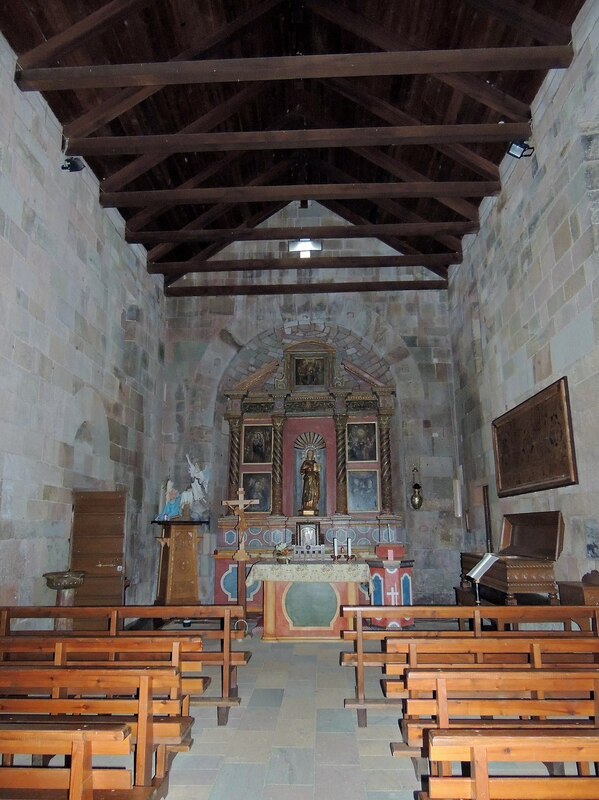 The semicircular apse has a trussed wooden ceiling. To the left is a great door that was added at a later date. A parchment has survived from the Romanesque altar, now housed in the parish of Oschiri. 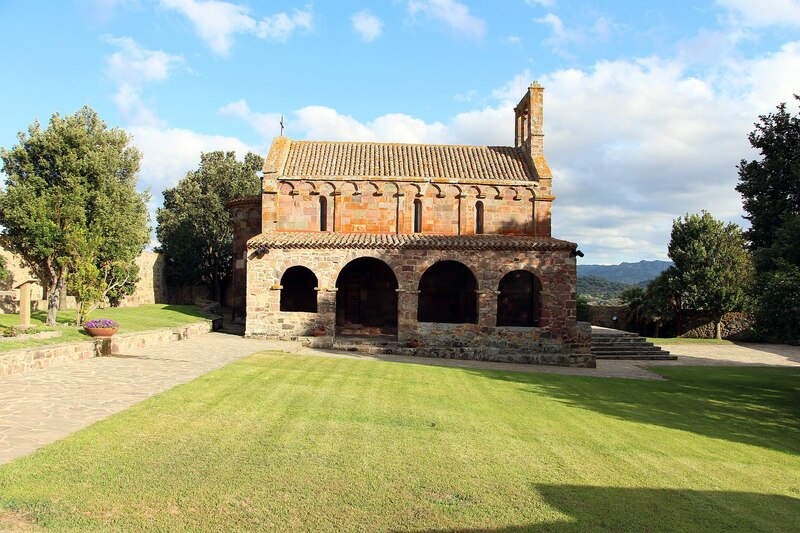 It features St Restituta, an African martyr whose cult on the island dates to the High Middle Ages. Some graves in the surrounding area date to the same period. 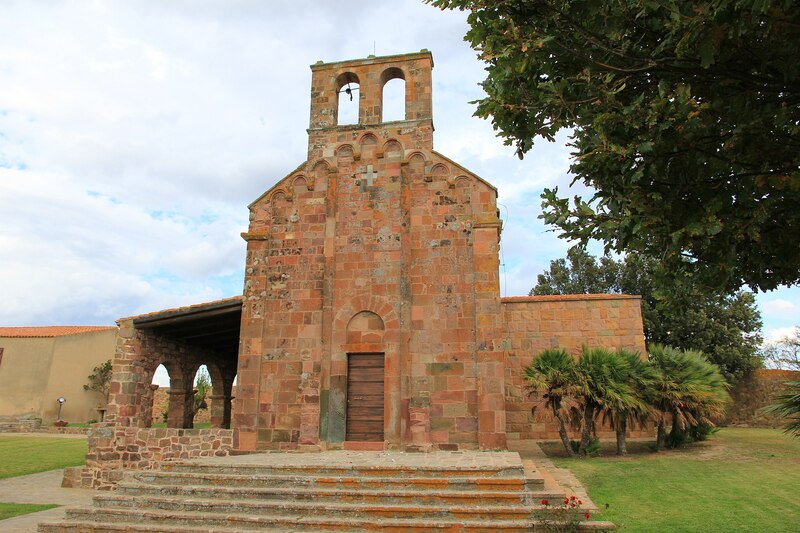 In Oschiri, a town in eastern Logudoro at the feet of the Limbara and in the middle of a valley graced with Mediterranean shrubbery, oak and cork trees, are other religious buildings of the same period as the former cathedral. In the old town, near the parish church of the Immacolata is the Church of San Demetrio, in the countryside are the sanctuaries of San Giorgio, San Pietro, Santo Stefano and Nostra Signora di Othi. Low houses and narrow cobblestone streets are what characterise this rural village, where fine cheese, Vermentino wine and panadas are made. The surrounding area is home to Roman and Byzantine ruins, but also prehistoric remains like the 70 domus de Janas at the necropolis, the mysterious complex of Santo Stefano and 60 Nuragic settlements. The relics are on display at the MuseOs. Ospitalità Orrolese sas di E. Trogu e C.